Experience Quebec with Hôtels Gouverneur. 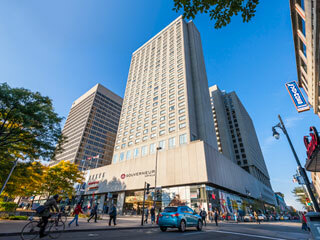 With hotels in all the major cities of Quebec, Hôtels Gouverneur is the leading hotel chain in Quebec. Located in the heart of all the major business and tourism centres in the province, the hotels are renowned for their hospitality, quality of service and courteous personnel. For an effective business meeting, a major conference or some really great tourism, Gouverneur will meet your every need. All year round, a range of personalized packages are offered at each of the Gouverneur establishments.